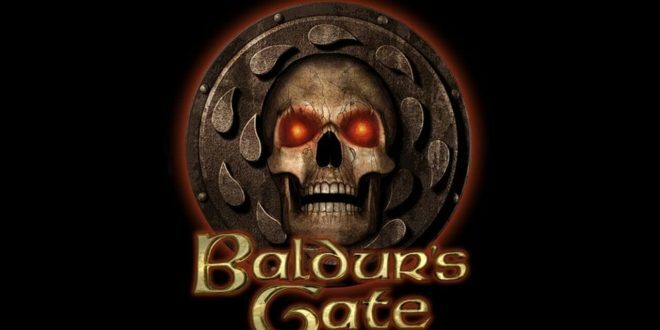 Skybound Games has teamed with publisher Beamdog to bring a selection of classic RPG games to console, including Baldur’s Gate, Baldur’s Gate ll, Baldur’s Gate: Siege of Dragonspear, Icewind Dale, Planescape: Torment, and Neverwinter Nights. The partnership will bring six of Beamdog’s" fan-favourite games" to PS4, Xbox One and Switch for the first time ever as both boxed and digital "enhanced editions". The team hopes it will "allow RPG fans the opportunity to experience epic Dungeons & Dragons adventures in a whole new way". Specific release dates have yet to be confirmed, but further details will be unveiled "in the coming months". If you’re at PAX East next month, however, you’ll find a selection of Beamdog’s games on display in the Skybound Games booth, "all coinciding with the first anniversary of Skybound Games as the video game publishing arm of Skybound Entertainment". "These games are iconic, including Baldur’s Gate, which has really set the standard for Dungeons & Dragons computer roleplaying games," said Skybound Games CEO Ian Howe. "We’re excited to bring Beamdog’s incredible slate to new platforms for both the dedicated fan and those who will soon discover these adventures for the first time. As longtime fans of Baldur’s Gate and Dungeons & Dragons it’s fantastic to partner with Beamdog as the newest member of the Skybound family." "We are ecstatic to partner with Skybound Games to bring these great classics to new platforms,” added Trent Oster, Beamdog CEO. "Skybound’s accomplishments are amazing and they have a demonstrated love and respect for creators. We’re thrilled to find ourselves working with such a talented group." Of course, Skybound’s also been busy finishing up The Walking Dead: The Final Season, when it took over production of the fan-favourite episodic narrative game after Telltale Games laid off the majority of its staff in a ‘majority studio closure’ back in September. After the collapse, Robert Kirkman’s company Skybound Games stepped in with the ambition for Clementine’s final story to be finished by a team "staffed 100% by former Telltale staff". Around the same time, Telltale games began disappearing from the Steam storefront and it was later announced that the company had signed a PC exclusivity deal with Epic’s Game Store. In a recent interview with MCV, Mark Stanger, general manager for EMEA at Skybound Games, told us the company will continue to be ambitious "on a global scale". “I think the ambition is really, on a global scale, to become a leading player in indie publishing and help define the highest quality of indie publishing by utilising expertise that the group developed over recent years," Stanger said. "But the challenge is to do that while remaining creative-centric, do what’s right for the game at every instance. But if we can execute on that, I think we have a really compelling proposition."